A Corinthian lekythos depicting a swan between two seated gryphons, from the collection of Sir William Hamilton, now in the British Museum. Plate Number 80. From the scarce Florence edition of d'Hancarville's famous work on Sir William Hamilton's collection of antique vases - Antiquites Etrusques, Grecques et Romaines, tirees du Cabinet de M. William Hamilton. . It was first published in 1767, this edition is 1801. Sir William Hamilton (1730-1803) was the British ambassador to the Court of the Two Sicilys. Living in Naples, he was in a perfect position to acquire the Greek, Roman, and Etruscan vases being unearthed around Naples. 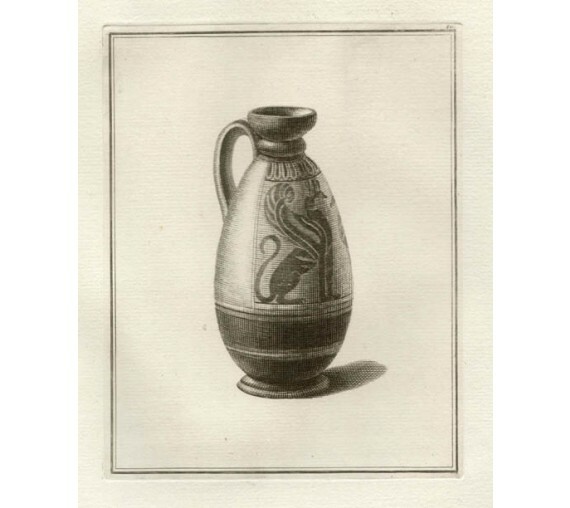 He was quick to understand the importance of the vases to the study of ancient art and history. 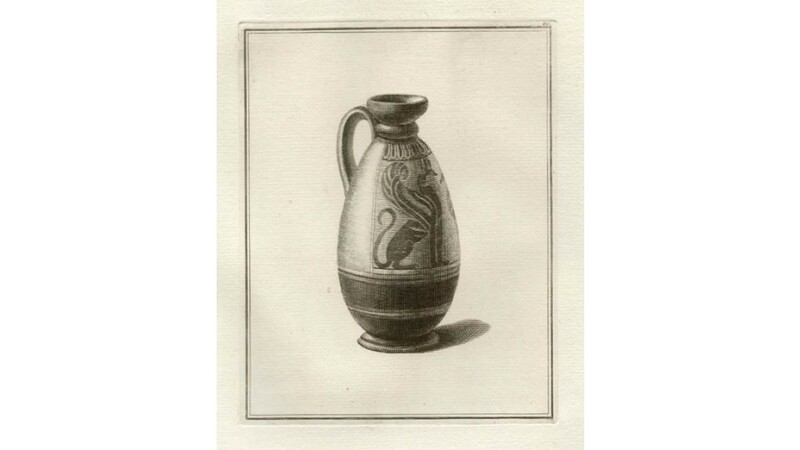 His first collection of vases was sold to the British Museum in 1772. Faint cockling to the paper, please note the scan exaggerates the cockling.